» What is the Average Vertical Jump? With there being so many variables, it is a challenge to determine what the average vertical jump height is. 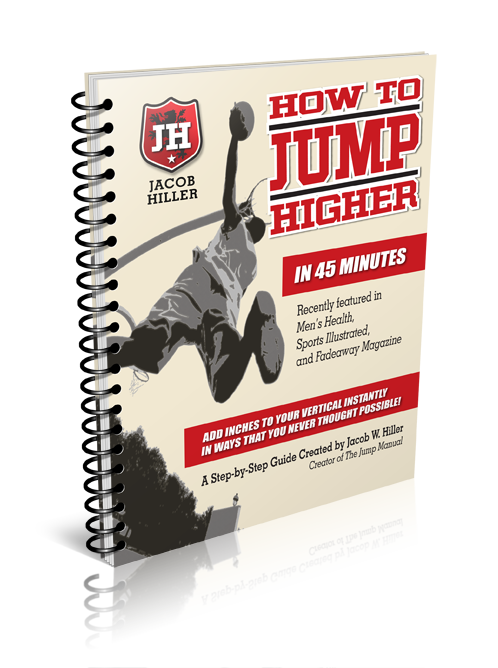 There are major outliers in each direction - ​people who can't jump over a garden hose on one end, and athletes with the highest vertical jumps ever that can be well over 40 inches on the other end. While most of the general population will never test their leaping ability, there are plenty of factors to take into account when determining the average, even for trained athletes. These numbers take into account all age groups, such as high school and college and are probably too low for professional athletes. You can see below the average for some professional sports leagues may be over 30 inches for men and over 20 inches for women. Below is a look at the standing vertical jump data from the 2016 NFL Combine to get a look at what elite athletes perform like. You can see the average, best, and worst height by position group, as well as overall results. ​This table shows you just how impressive professional football players are athletically. While it specifically examines the 2016 NFL Draft Combine, with 272 athletes being tested, it gives us a pretty good sample size to look at. Defensive backs are clearly the highest leapers, with cornerbacks leading the way followed by the safety position. Offensively, running backs, followed by receivers, are the best jumpers. To see how athletically developed even the biggest football players are, just look at the numbers of the lineman above. The average for all defensive lineman, with everything from speed rushing ends to massive nose tackles, is 31 inches. Even the average offensive lineman had a jump of more than 27 inches. ​This was the only position group with an average below 30. Below is a look at the average, highest, and lowest verticals from a couple of NBA Combines. Because the NBA Combine has a much smaller number of total athletes tested, there is date for 2 years to get a larger sample size. *Note that the NBA tests both standing vertical leap and max vertical leap. We are only looking at data for standing. Basketball is a sport where the ability to jump high is considered important, but it might surprise you that the average pro basketball prospect actually can't jump as high as the average pro football prospect. These are still very impressive numbers, with the average right around 30 inches over 2 years, considering the number of taller athletes - 6'6" to 7' - that are part of the testing. It is important to remember that often the top NBA prospects will sit out of Draft Combine testing completely, which could skew the numbers by removing the best athletes from the sample. There are a couple things to note about these results. For starters, most basketball players are significantly taller than the average football player. 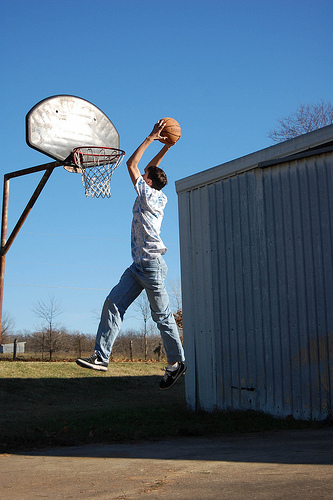 With a slighter build and no need to get as bulky or strong as football players, vertical jump training can do more damage to a basketball player's body. ​The vertical isn't as important for some positions as others. A point guard can go an entire game with maybe only a couple instances where they need to jump straight up for maximum height. A 7 foot center also probably won't do much plyometric training because of the stress it can put on his body. In the book Training for Soccer Players, by Marc Briggs (2013), there is a list of standing vertical test norms for soccer players. You can see a version of that in the chart below. To give you an idea of how these numbers transfer for people who are used to inches, 50 centimeters is just under 20 inches. That would put the average soccer player's vertical at about 20-24 inches for males and 16-20 inches for females. While soccer players don't usually spend much time in the air, vertical jumping ability is a demonstration of explosive ability. Short sprints are a constant in the sport of soccer and jumping ability is a good test of power. Obviously, there is a difference between men and women and the level of the athlete, from youth to high school, college, and professional. This matters in both total amount of training and quality of training. The average for professional athletes would also be much higher. The sport is also a major factor. ​Some sports, like basketball, football, and volleyball, require jump training as part of the sport, while in baseball and hockey that training wouldn't be as valuable. ​Fast twitch and slow twitch are the general types of muscle fibers. Fast twitch are the muscles used for explosive activities, such as the vertical jump. Having more of these types of fibers would be beneficial for speed/power athletes. While there just isn't much data out there about the general population's jumping ability, we can learn a lot about the average jumping performance from athletes. ​Below you will performance norms for both men and women in sports such as football, basketball, and soccer. There are two main types of vertical jump testing - standing and maximum. The data above is all for standing testing, which allows no run up or steps. Maximum vertical testing allows for anywhere from 1-2 steps to a full running start. ​While jumping ability may not be the best indicator of success in sports, it gives a great test of athleticism for speed and power sports that gives athletes a number to compare to judge the success of their training program. The average vertical jump height for both athletes and the general population can be tricky to try to determine, but the data above gives us a good look at the norms for different sports and genders so we can use them to compare results.